You can’t discuss wild horses and burros without discussing livestock and public-lands ranching. That did not happen in an opinion piece posted yesterday by Carson Now. Omission of the topic, common in articles about wild horses, is a sure sign of bias. This one by Northern Ag of Billings, MT is typical. No ties to the ranching industry there. Back to the original piece in Carson Now. 1. They’re a non-native species. The fossil record shows that horses existed in North America until they, and other large mammals, were wiped out 10,000 years ago. They were reintroduced by Spanish explorers 500 years ago, as stated in the article. 2. Humans were here a lot longer before any horses. The fossil record shows that horses pre-date the appearance of humans by tens of millions of years. 3. 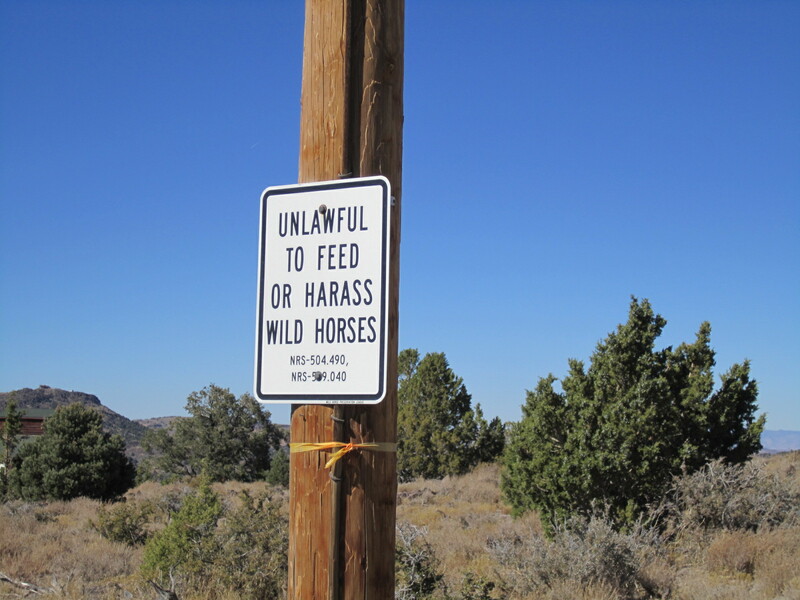 Free-roaming horses are feral, not wild. Horses that have been gelded or wear shoes are occasionally noted in BLM gather reports. They are the exceptions. Most of the domesticated horses died off decades ago. Their offspring have never known anything other than wild. The anti-horse crowd will often apply the feral and estray labels to diminish the importance of these animals and cast doubt on their protected status. 4. Don’t feed them. Carrots, apples and bits of hay may seem like innocent treats, but giving them to wild horses can make them pushy and disrespectful, jeopardizing their free-roaming status. Besides, it’s illegal in Nevada. Providing water is not illegal, but should be done away from populated areas, a practice known as diversionary watering. 5. Horses rob forage from deer, elk, antelope and bighorn sheep. You forgot livestock. 6. Horses reduce the risk of wildfires by consuming excess vegetation. Good point. 7. There are not enough predators to keep the horses numbers in check. That’s because of the livestock grazing in the next valley. 8. Fertility control has not been very effective, allow hunting of wild horses. The idea is sickening. And you can’t eat meat that’s been tainted with contraceptives (and dewormers in the case of freed or escaped ranch horses). Why not start by retiring the grazing permits and giving back the territory that’s been allocated primarily to the public-lands ranchers? Previous Post Do We Really Need $5 Billion for a Wall?